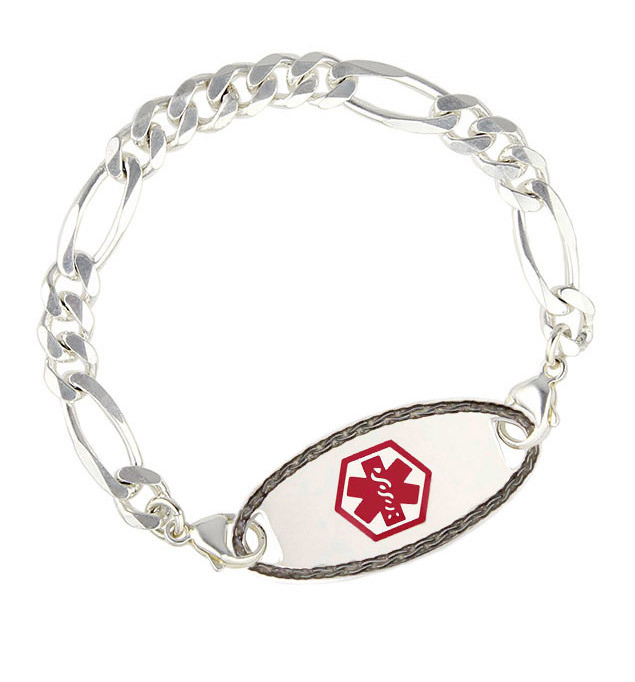 This sophisticated medical ID bracelet offers the classy style you love without sacrificing the resilient quality you need. The Figaro patterned sterling silver chain is great for everyday wear and can be dressed up or down to fit any occasion. Simply attach your custom-engraved Lauren's Hope medical ID tag with our signature lobster clasps to complete this durable, versatile style. This bracelet is suitable for everyday use including hand washing and bathing. USPS Priority | $15.00 Est. Delivery Thursday, May 2 << Ships today! USPS International Priority | $45.00 Est. Delivery Monday, May 13 << Ships today!